The educator's 33-year effort to develop and enhance an academic program in children's literature at Ohio State University established her as a national authority on the subject. 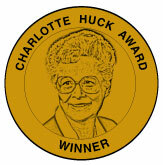 Huck's reputation grew with the 1961 publication of her textbook, "Children's Literature in the Classroom," now in its seventh edition, and with her 1976 creation of the quarterly review Wonderfully Exciting Books, covering classroom use of children's books. "Reading was part of my life, and I wanted children to have the same opportunity," Huck said in a 1981 appearance on television's "Good Morning America." A native of Evanston, Ill., Huck studied at Wellesley College and earned her bachelor's degree from Northwestern University. After teaching briefly in Midwestern elementary schools, she completed her master's and doctorate at Ohio State University and joined its faculty in 1955. While she was teaching teachers how to boost children's reading, Huck earned Ohio State's Distinguished Teaching Award in 1972 and the Landau Award for Distinguished Service in teaching children's literature in 1979. Huck also served on the American Library Association committees for the Newbery and Caldecott medals, awarded to outstanding writers of children's literature. Huck retired from Ohio State in 1988. But she wasn't finished. Relocating to Redlands, she wrote five children's books herself: "Princess Furball," "Secret Places," "Toads and Diamonds," "The Black Bull of Norroway" and "A Creepy Countdown." Huck helped create an annual children's literature festival at the University of Redlands, similar to one she had developed at Ohio State. The Redlands festival was named for her in 2000. "We must keep reading aloud to children," she advised teachers at the 1998 festival. "If you're not reading aloud to them, you're not teaching reading. The story is what motivates children to want to read." Now that's a children's literature champion. The second reason I love her is because of this award established in her honor by the National Council of Teachers of English. The award recognizes "fiction that has the potential to transform children’s lives by inviting compassion, imagination, and wonder." What a glorious statement! And to my extreme delight, Tiger Boy has been selected as a 2016 NTCE Charlotte Huck Outstanding Fiction for Children Honor Book (in excellent company)! I've changed my vocational statement thanks to Dr. Huck. From now on it is to "invite compassion, imagination, and wonder" through my fiction. Congratulations to all the winners!